This universal handgun hanger magnet pouch is the perfect accessory to add to your arsenal! Simply place the magnetic back on a solid flat metal surface and place your handgun in the wedge shaped elastic banded mesh pouch, that's it! 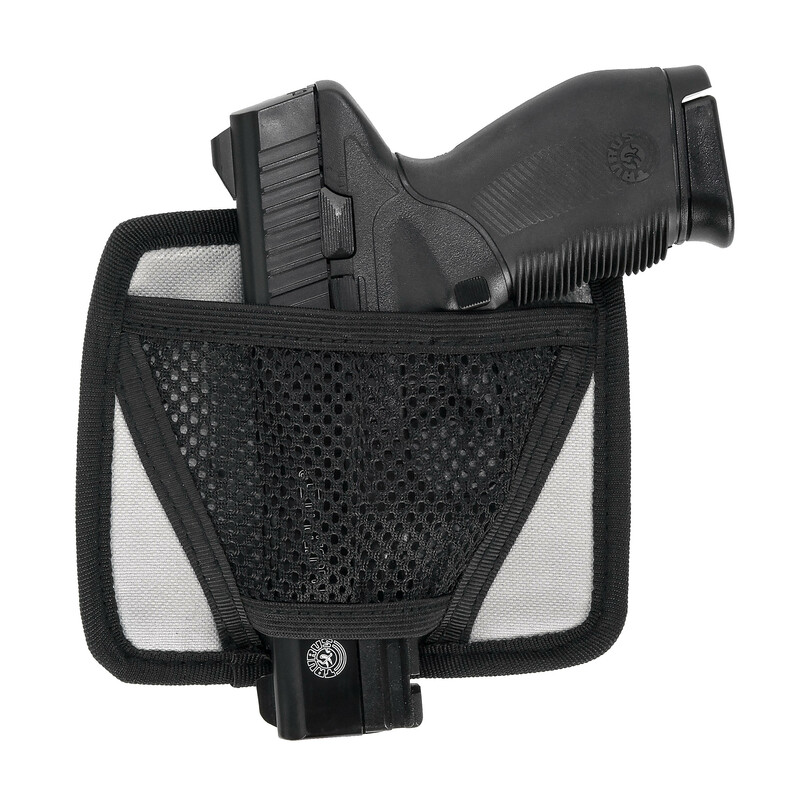 This universal handgun hanger magnet pouch is the perfect accessory to add to your arsenal! Simply place the magnetic back on a solid flat metal surface and place your handgun in the wedge shaped elastic banded mesh pouch, that's it! No need to install any permanent fixtures or drill any holes. Magnets are sewn into the back so there are no pieces to lose either! Holds a wide range and variety of firearms. The back panel is padded and covered in soft nylon to prevent any damage to the guns finish. Overall dimensions are 6.25" x 5.34" x 0.29". Top mesh opening is 5.21" in length and the bottom opening is 2.00".